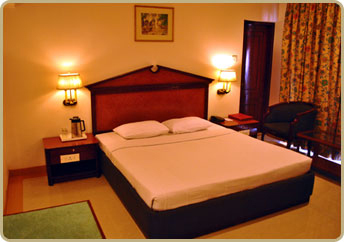 Luxury beckons you at Westway Hotel, Calicut. A 3 Star hotel, conveniently located at the heart of the historical cosmopolitan city Kozhikode, the land of Zamorins in the Malabar region of North Kerala, the Westway Hotel is ideal for both leisure and business travelers. The hotel is set up at the most convenient and up-coming location in Calicut on Kannur Road (NH-47), just before West Hill area and about 2 km away from Calicut Railway Station. The newly refurbished Westway Hotel has kept its warmth and welcome that has made it one of Calicut's best-loved hotels. The hotel now has an improved look both internally and externally and with the impeccable attention to detail and unerringly accommodating and discrete service it offers, the Hotel has carved an identity of its own in fine hospitality in Calicut.The Westway Hotel is all set to make your stay in Calicut a memorable one giving you more amenities, comforts and more value for money! 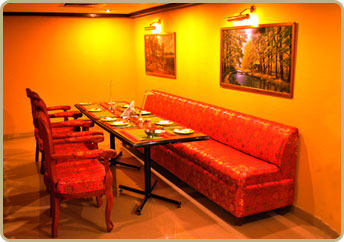 Lip smacking delicacies beckon you to the tasty fare at the hotel's multi - cuisine restaurants. Just step in and you'll find a menu replete with generations-old, traditional recipes presented alongside fusion cuisine creations. Malabar Court: The Round-the-clock multi Cuisine Restaurant for quick bites and hearty eating. 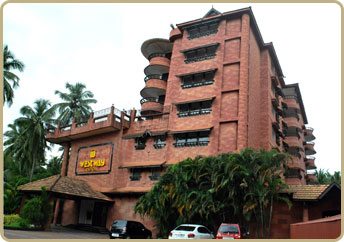 The Malabar Court, the tastefully decorated specialty restaurant, entices the palate with local & Indian / Continental/ Chinese cuisine and also offers an excellent opportunity to entertain and satisfy your friends and relatives with tasty food of traditional and local specialties for which Calicut is generally well-known. Captains Cabin: The Bar - An ideal venue to relax with friends after a day's hard work. The Westway hotel has 60 well appointed rooms equipped with almost all modern amenities including hi-speed Wi- fi connectivity. All the spacious guest rooms are impeccably furnished and feature comfortable accommodation as well as convenient services. Comfort and style go hand in hand in the stylishly done interiors of the AC rooms.